User Verify - Prevents page access for unverified users and prompts to verify with a missed phone call by using Cognalys API. 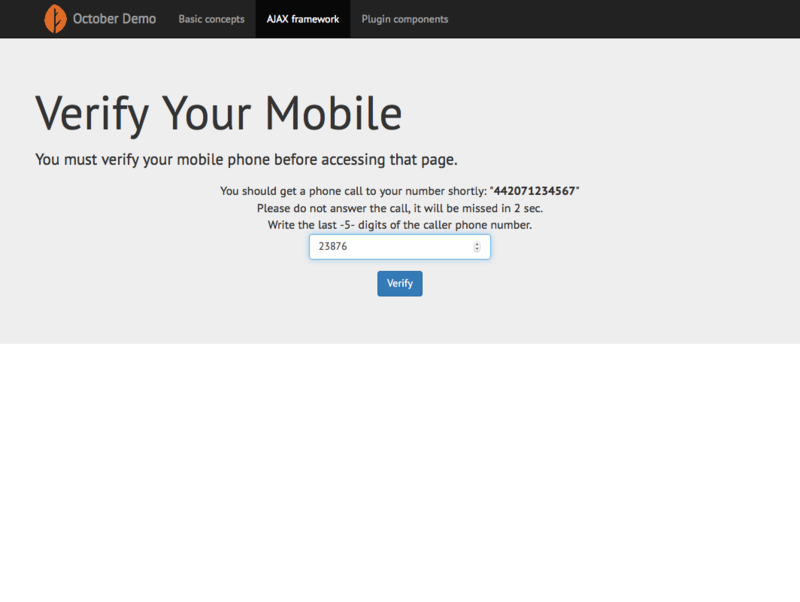 User Verify Prevents page access for unverified users and prompts to verify with a missed phone call by using Cognalys API. Why prefer Cognalys and not SMS based services? Sending SMS for verification is more expensive than a basic phone call. 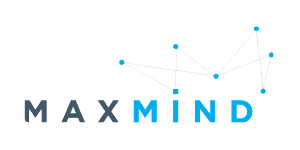 This is a good service for being simple usage both users and site owners. What should you do to configure the plugin? Please open issue on Plugin Issues page if you have any issues or need help. CheckIfVerified component is using for verification purposes. Add CheckIfVerified component to a page if you want to that page needs verication before access. 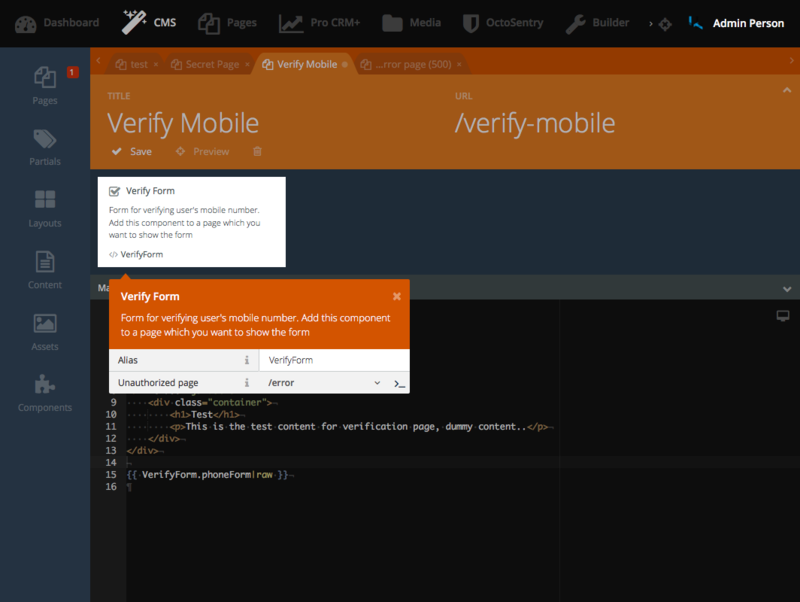 Also change redirect property of component to a cms page for redirecting to the verify form page. That's all. 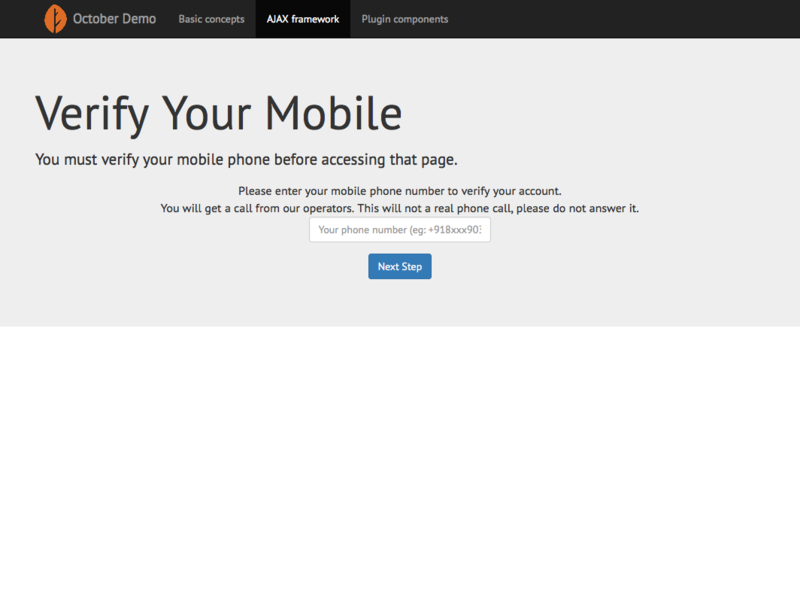 Now, all logged-in users who is not verified mobile phone will be prompt to verify on the redirected page. When user verified, automatically returned back to source page where user left off. How Verification Process Takes Place for Users? When user try to access a page which has "CheckIfVerified" component, if you activated verification and user is not verified, system redirects user automatically to your defined webpage which has "VerifyForm" component. User should enter mobile number on that page and system will call the user. User should write Last 5 digit of caller number and system automatically combine the number to verify the user.